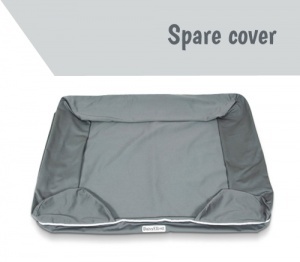 If you are also purchasing a spare cover please make sure to select the same size as the dog bed you are ordering. 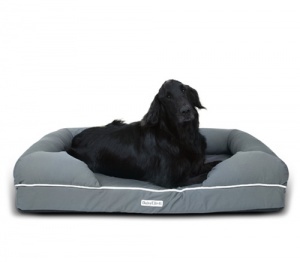 These luxury memory foam dog beds by Daisy Elliott are a low sofa / lounger design with bolster sides. They feature a durable water resistant removable cover and a high grade solid memory foam base which shapes itself to your dog giving superb orthopaedic support. 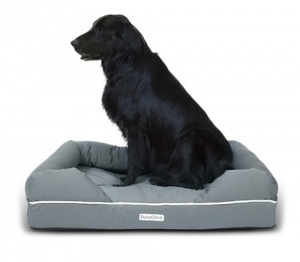 Designed to give your dog the same level of comfort available in top quality beds made for people. Woof! Memory foam helps to eliminate pressure points and ease aching joints. 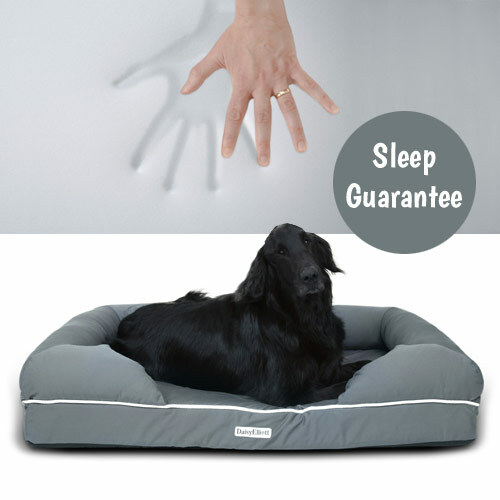 Ideal for elderly dogs, dogs suffering with arthritis or any dog that loves comfort. The outer cover is a tear and water resistant durable fabric (35% cotton / 65% Polyester) which is smooth, strong and rustle free. It easily zips off and is machine washable if necessary. 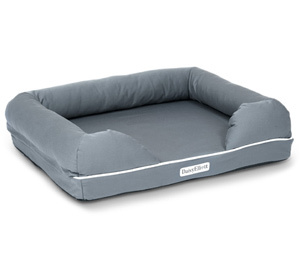 This bed also features a waterproof inner liner for further mattress protection. 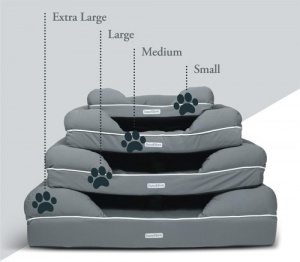 The 10cm solid memory foam base conforms to the shape and contours of your dog's body providing comfort and support for the best sleep ever. Not all memory foam is created equal so it is important to check the quality/density before purchasing any memory foam product. These dog beds are made from 40D memory foam, which is quite dense but still soft enough to contour comfortably to your dog's body. It will give support where needed without being too firm or giving them that sinking feeling. The side bolsters are generously filled with soft polyester fibre to provide head, neck or back support. The base of the bed is non-slip to help keep it in place. Available in a range of sizes to suit all breeds of dog from small to extra large. Spare covers are also available. These are handy if your dog wants to use their bed while you are washing the cover. 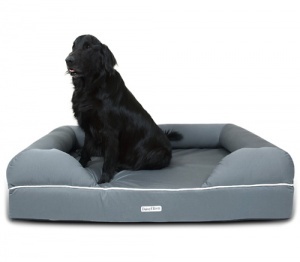 When investing in such a high quality product you can rest easy knowing that this dog bed is covered by a full 12 month manufacturer's guarantee (for manufacturing faults and defects) plus a 30 day sleep guarantee. Daisy Elliott are so confident in the quality of their dog beds that they offer a Sleep Guarantee. If after 30 days your dog doesn’t love their new bed it will be collected free of charge and you will be refunded in full. Measure around your dog while they are in their favourite sleeping position then refer to the internal dimensions given below. Please note - all measurements given are subject to slight manufacturing variations. 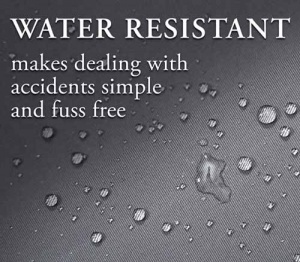 The outer cover is water resistant and can be wiped clean. It also zips off and can be machine washed at 40 degrees and tumble dried on a low heat. 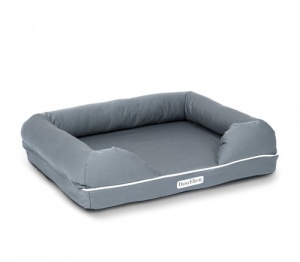 The outer cover protects the inner liner, memory foam base and bolster cushion so they will not need to be cleaned. 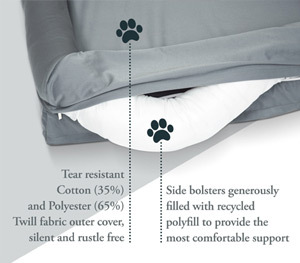 These beds are made of tear resistant fabric and while no bed is indestructible, the feedback from owners is that they are more durable than most standard dog beds.